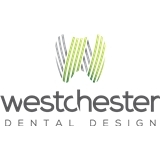 Westchester Dental Design (Yonkers) - Book Appointment Online! Dr. Lokesh Rao graduated from New York University College of Dentistry with a Doctorate in Dental Surgery. He completed a general practice residency at St. Barnabas Hospital in the Bronx where he also served as Chief Resident, overseeing the treatment of twenty-five general practice residents. Dr. Rao spent the last 5 years working in private practice in Manhattan and Southern Westchester County. He strives to stay up to date on the cutting edge of technology and new dental treatments by accumulating more than 700 hours of continuing education that range from esthetic full-mouth rehabilitation to implant placement and prosthetic restoration. Dr. Rao .... He is simply THE BEST!!! I have ben a patient of Dr. Rao's for a few years now and have been a patient at this dental office for over 17 years. Highly professional demeanor .... very personable ... Dr. Rao communicates regarding precisely what he is doing during dental procedures. I find him extremely accommodating ... he always makes me feel comfortable and at ease. Dr. Rao can even give a painless or very close to painless injection ... I give my dentist 10 stars!! !